One life, Dive it! But to be able to you must certify first. Ocean Encounters offers all necessary Dive Courses to get you (PADI / SSI) licensed! 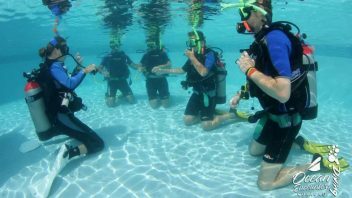 Wether you are a complete newby or already certified and wishing to grow your knowledge and abilities, we have the right Dive Course for you. All Dive Courses can be booked online immediately of course. Just pick your favorite(s) below and click ‘Book Now’. We will contact you for any further information we might need from you to join. Ocean Encounters took great care of us during our recent vacation and diving trip to Curaçao. We did four days of boat diving, leaving right from the dock at our resort (the Sunscape), with everything well taken care of. I even had a couple of equipment mishaps that they were more than happy to help take care of, both on the boat and back at the shop afterward. Thanks for a great time! Thank you Peter, Lexi, Capitan Bacon (don't remember his real name but you'll know him when you visit). This was my first experience with another dive shop outside of home. I couldn't be happier with the dive masters. It was my 1. Open Water Dive after 5 years. Everyone were very helpful and assisting me. We saw a lot of beautiful fishes and a wreck under water. Was great. 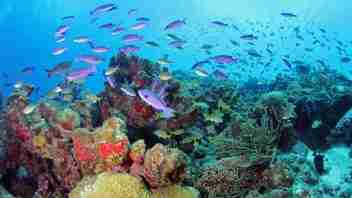 My wife and I came to Curacao along with some friends who had dived there before and spoke highly of OE. Well, we were not disappointed. All the staff are very friendly and helpful and make you feel at ease. As a Divemaster I watch how staff at other dive operations interact, etc. The OE staff are top flight.